Beginning February 25, “Money in Motion Currency Trading” will air on Fridays at 5:30pm after the popular program CNBC’s “Options Action.” In addition there will be two short business segment updates each week on Wednesdays and Fridays during CNBC’s Business Day programming. The program will air on CNBC in the U.S., CNBC Europe, Middle East and Africa and CNBC Australia. Hosted by CNBC’s Melissa Lee, “Money in Motion Currency Trading” will focus on bringing traders insights and strategies from some of the biggest names in the world of forex. CNBC’s “Money in Motion Currency Trading” is your front row seat to the most liquid and leveraged market in the world. "A program dedicated to currencies has never been more relevant," said Susan Krakower, CNBC's Senior Vice President Strategic Programming and Development. "CNBC is an investor-focused network and this program will teach viewers how to harness the power of the $4 trillion currency market." 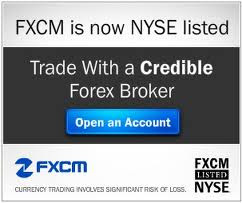 As the first broker specialized in retail forex trading to go public on the New York Stock Exchange in December 2010, FXCM will continue to support initiatives that provide education, news, and research focused on the currency markets.